We were able to lower the publishing costs with this new CreateSpace edition while maintaining the high quality product you expect. Volumes 1 and 2 together cost $45. Shipping charges apply for each volume as do taxes where applicable. 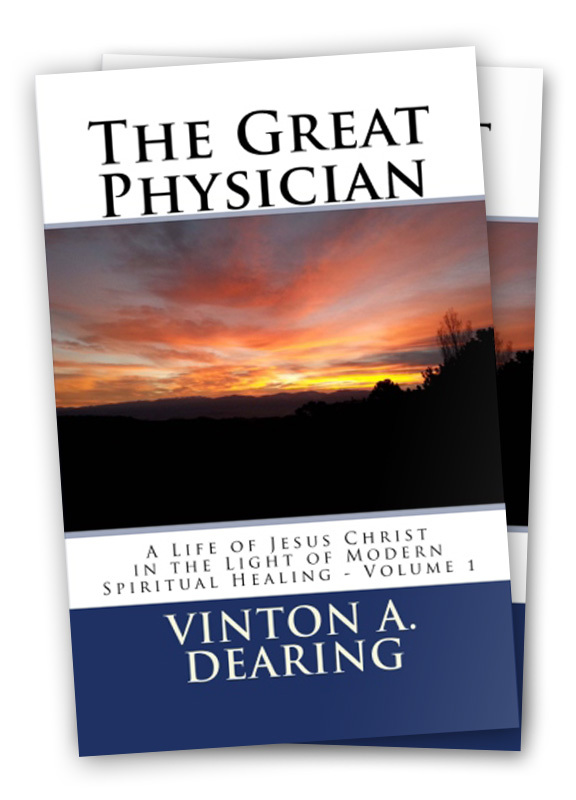 The Great Physician is a biography of Jesus of Nazareth, the greatest spiritual healer the world has ever known. Originally written as a single-volume work, owing to printing constraints it has been divided into two volumes. Neither is stand-alone. Both volumes should be purchased together. Volume 1 includes both an original translation of the Gospel texts and extensive commentary based on 40 years of scholarship and over 80 years of life experience with spiritual healing. Volume 2 includes the extensive footnotes, other notes, and indexes to Volume 1. Because the biography is ordered chronologically, the Index of Translations found in this volume is an invaluable aid to the reader looking for translations and commentaries related to specific Gospel chapters and verses. Students of the Bible and anyone interested in spiritual healing will especially appreciate the well annotated and extensive background information about social and religious thought during Christ Jesus’ time, as well as modern day examples of spiritual healing based on Christ Jesus’ teachings. The Gospels never explain fully how Jesus healed, but modern experience with spiritual healing makes clear that he did so on firmly established principles and with much experimental or experiential evidence, so that his method may be called scientific. Modern experience also makes clear how often the Gospels describe without comment some aspect of his healing practice or what we may call, to continue the metaphor of science, his laboratory procedure. They never fully link his teaching to his healing, but again, modern experience with spiritual healing shows us an inseparable link. It was Professor Dearing’s hope that the book would be both unbiased and ecumenical. He wanted to enable readers to make their own reasoned judgments. As a scholar and with great respect for those who held to different religious traditions, he strove for accuracy and clarity in representing opposing viewpoints. Professor Dearing himself had a long lifetime of personal experience with spiritual healing and held that anyone who followed Christ Jesus’ teachings could share that blessing. The Great Physician reflects decades of study of the New Testament text, including breakthrough work on the use of computers to determine minute differences in biblical texts that indicate their age and order. This textual analysis was supported by grants from the Regents of the University of California administered by the Research Committee on the Los Angeles campus, the IBM Corporation, the Committee for the International Exchange of Scholars, and the National Endowment for the Humanities.